Pie crust without shortening or butter? Who would think possible? 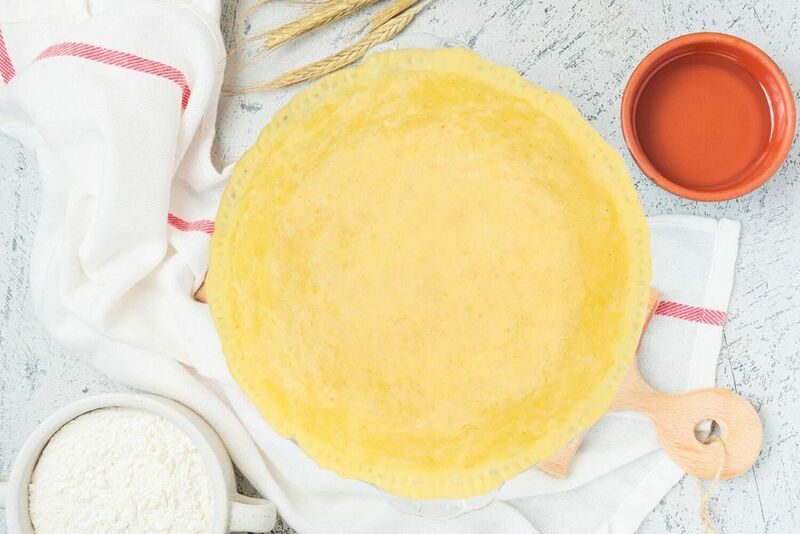 A pie crust using oil instead is not only a nice change from the usual, but is also much easier to make--you don't need a pastry blender or a rolling pin. This is a perfect pie crust recipe for beginner bakers or anyone intimidated by having to cut shortening into the flour. It's also a great option when you find yourself out of shortening! In a bowl, mix flour, and salt with wire whisk. Stir in oil until mixed. Add water or milk until mixed completely. Place dough in middle of 8- or 9-inch glass pie plate. Spread dough out with your hands covering the bottom of the plate, up the sides and over the rim. Bake according to pie recipe directions. Although the dough is most versatile when made with a mild-flavored oil like vegetable, canola, safflower or peanut, you could use extra virgin olive oil, but it is best with a savory pie like a quiche. If you need a top crust as well for your pie, you can double this recipe.